There’s something about Autumn / Winter that makes me more excited than normal over trying new beauty products and re-visiting old favourites. I don’t know about you but everything sits better on me during the colder months, it’s like I feel more like me….does that even make sense? 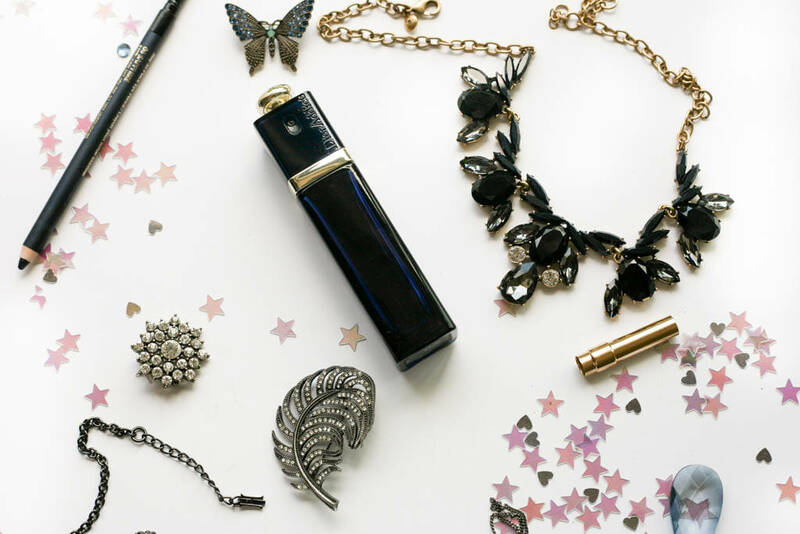 Sure, Summer is about the longer days, getting your glow on, lip gloss over a bold lip and light and fresh fragrances, but I’m more about the cozy nights in, indulging in some luxurious skin care, a bolder lip and those headier scents. Of course going into somewhat of a hibernation mode probably has a part to play as it only means more time for me to experiment with different products, but that’s never a bad thing I guess. 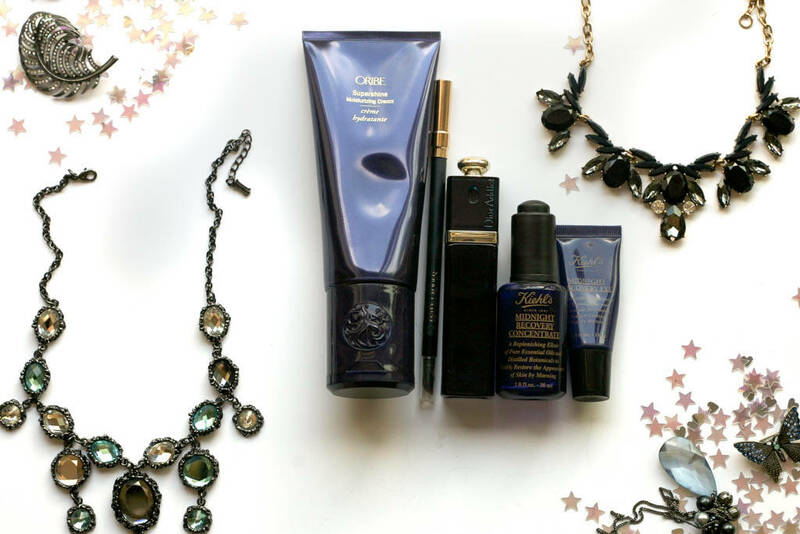 So, to prepare myself for the colder weather and those dark and dreary nights, I’ve rounded up some of my feel-good beauty products and yes, they all happen to be blue in packaging, how fitting! Firstly, to keep my hair in the best condition possible I’ve been using the Oribe Supershine Moisturising Cream. I use this pre-styling on damp hair focusing on the mid-lengths and I only need a pea-sized amount to get frizz free, smooth and shiny locks. This also reduces the time taken to blow dry my hair and doesn’t weigh it down…..need I say anymore? The next two products I have are from the Kiehl’s hall of fame. I’ve already mentioned my love for the Kiehl’s Midnight Recovery Concentrate before, see my post here. Facial oils are always a real treat and this does not disappoint, especially since it leaves my skin feeling so smooth, fresh and supple the next morning. The Kiehl’s Midnight Recovery Eye is the same concept but for the under-eyes only and is in a cream formula. This is one of my favourite under-eye treatments as it’s so firming and absorbs into the skin in an instant. As mentioned, my taste in perfume changes during the colder months and preferring more warming, sensual scents, Dior Addict Eau de Parfum is ideal. I’m normally a spray happy type of person when it comes to perfume but overdo this one and it gets a bit much. Luckily a light spritz of this oriental fragrance with floral notes lingers for ages……just how I like it. Key notes include orange flower, bourbon vanilla, sandalwood, bulgarian rose, mandarin leaves and tonka bean all of which add to the sense of mysteriousness and sophistication which is oh so important for me in a fragrance. 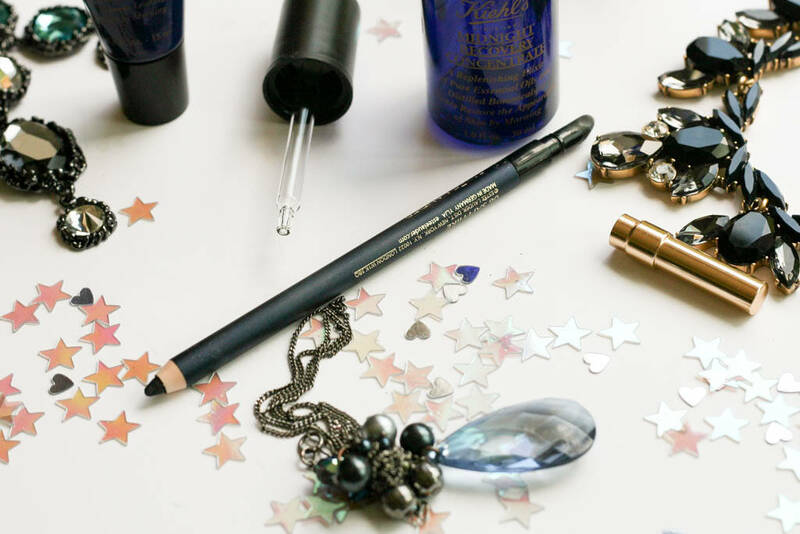 Lastly the Estee Lauder Double Wear Stay In Place Eye Pencil in Sapphire is a great way to add that something different to my eye makeup. 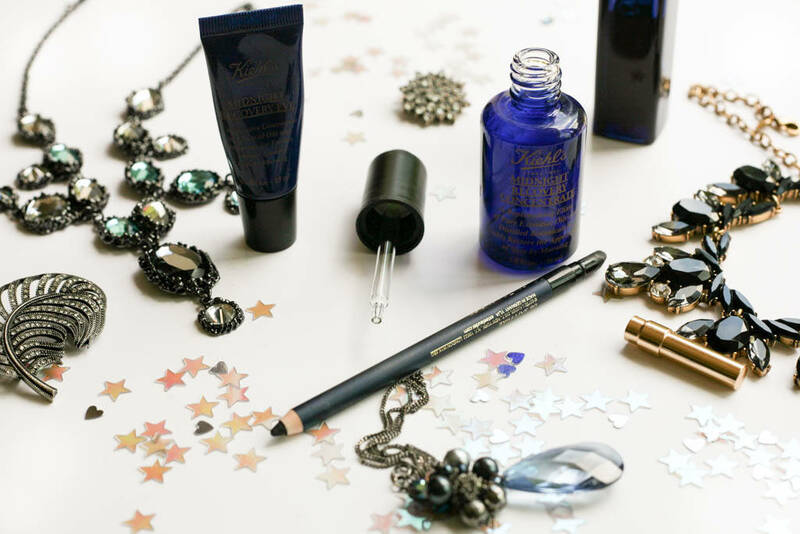 As this is a deep midnight blue, it provides that sultry definition without the harshness of a black eyeliner. I prefer to use this to define my lower lash line but it’s also great for creating a smokey eye and the blending tool on the end helps for this.